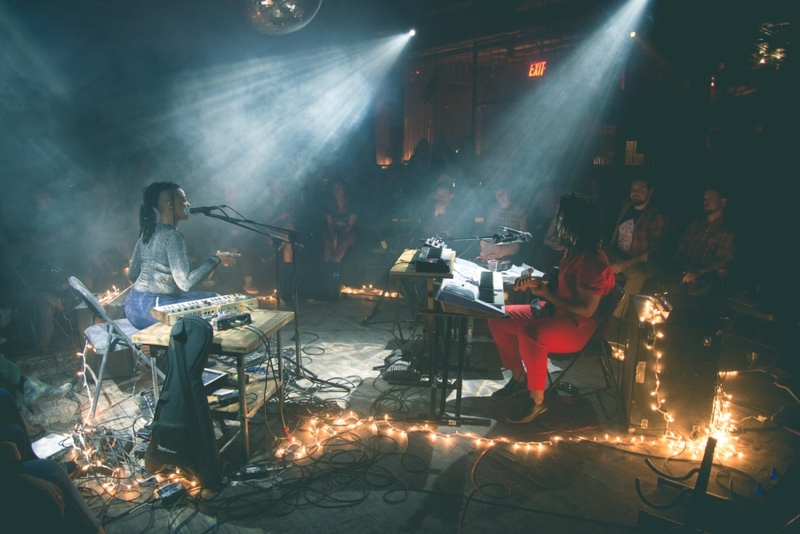 With their sophisticated, bi-lingual synthpop, full of texture and pretty melodies, Puerto Rican duo Buscabulla – now Brooklyn residents – conquered our ears with their debut EP “Kitsune`,” which became The Deli NYC's Record of the Month in October 2014. We asked Raquel and Luis a few questions about their gear and creative process in our sister site focused on gear and creativity Delicious Audio. Read the Interview with Buscabulla. Buscabulla will be performing at The Deli's NYC B.E.A.F. 2015 (Best of Emerging Artists Fest), part of the Northside Fest, on May 13 at The Living Room. 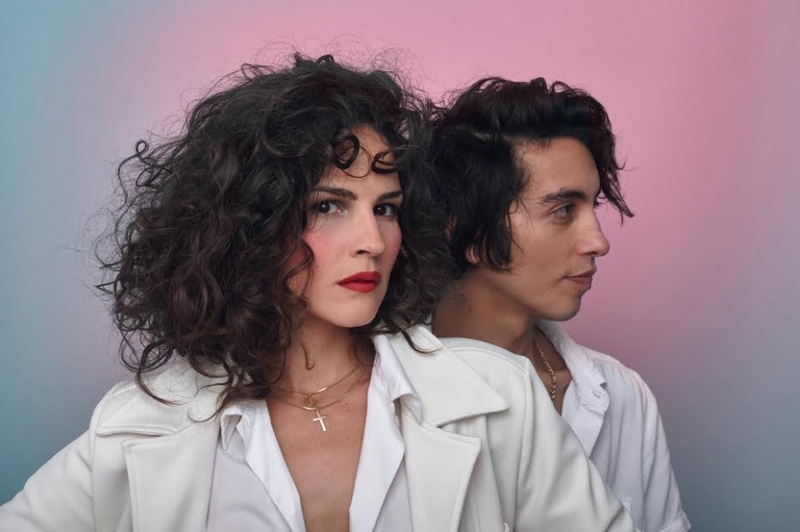 "Debut EP ""Kitsuné"" by Puerto Rico/Brooklyn band Buscabulla (Spanish slang for 'troublemaker'), is one of the most beautiful and intriguing records to catch our ears in quite some time. In its four tracks, the band effortlessly blends electro, industrial, world music and dream/pop into a very enjoyable final product. Opening track ""Caer"" alternates gritty guitar loops with liquid synths, while singer Raquel Berrios' voice charms and soothes with minimal pop melodies sung in Spanish, but that seem to bear some kind of Japanese influence. Metelé is a more traditional electronic, atmospheric ballad reminiscent of Air but still dominated by an Eastern sounding melody, while ""Temporal"" - the most experimental track in the EP - blends the clanging of a mechanical loop with what sounds like a synchopated, finger piano sample, while distorted guitars swells drive the song through its tension and release cycles. Final track ""Sono"" - one of the strongest on the record - recycles an idyllic, 60s sounding flute sample and surrounds it with a funky drum pattern and all sorts of distorted and percussive sounds - all very organic sounding - while Raquel indulges in a simple melody that seems inspired by nursery rhymes. Buscabulla's ""Kitsuné,"" with its incredible array of ethnic influences filtered through a Western musical lens, represents as close as it gets how today's NYC music should sound."